Rice is a huge part of our Indian diets and rightfully so! Rice is very economic and widely available. 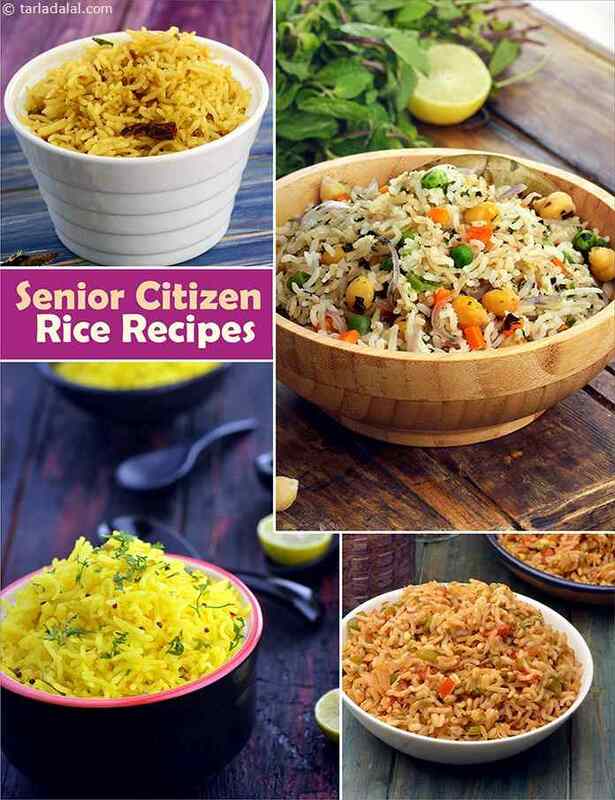 Cooked in the right way to get perfect textured soft rice delicacy, it can easily fit into a senior citizen’s meal. It can be combined with various vegetables such tomatoes, onions, carrot, cabbage, green peas and the list can go on and on. Adding vegetables increases the nutritional value and lowers GI of rice which means that you can stay fuller for longer without spikes in your blood sugar levels. Below are a few nutritional tips to help include rice in your diet in versatile ways. Rice is one of the most versatile foods as it can be prepared in the form khichdis, dosas, appe, pulao's, biryani's etc. Try our Bohri Khichdi and Lemon Rice Recipe which are easy comfort food recipes that can be prepared in no time. Adding fresh herbs and greens to rice makes them more exciting and flavourful. Try Tomato Methi Rice for that extra punch of flavour. Called Puliyodare in Tamil, this is an Iyengar cuisine classic. A heart-warming dish that uses tamarind to create a magical flavor. The South Indian style tadka adds both flavor as well as appeal, making this a great lunch/dinner recipe. Enjaaai!